← Toad Houses for the People! On May 2nd, we worked with a handful of participants that enthusiastically created a variety of objects to be raku fired by our studio. Bowls and lanterns were created using Tucker’s Thompson raku clay which contains 20% grog that aids in hand building and buffers the effects of thermal shock when raku firing. 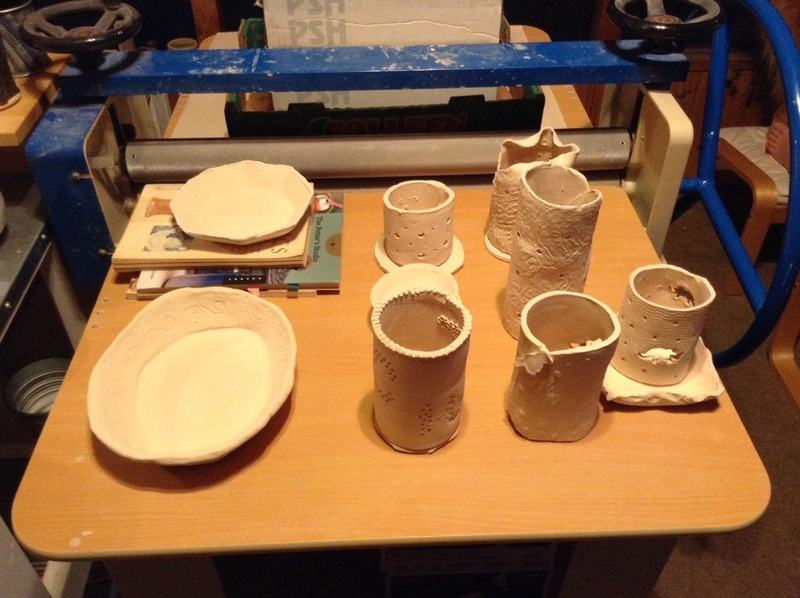 After air drying for a few days, these pieces were bisqued to cone 04 at the guild then transported to our studio to be glazed in assorted raku glazes. 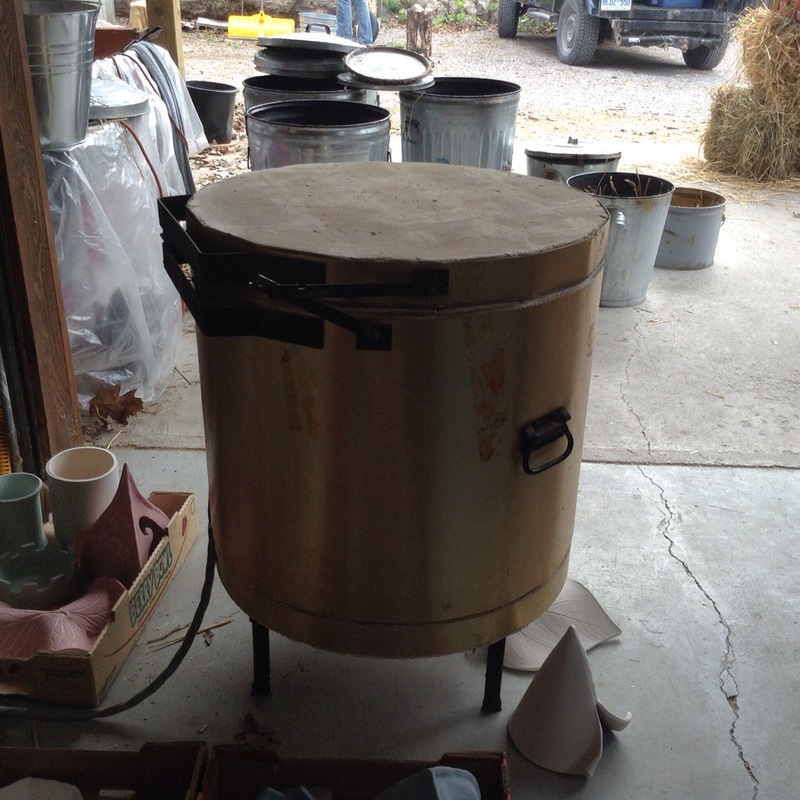 Once the glaze had dried and we found a day that was both pleasant to work outside and offered off peak hydro, we prepped “Frank the Tank” for a raku firing. 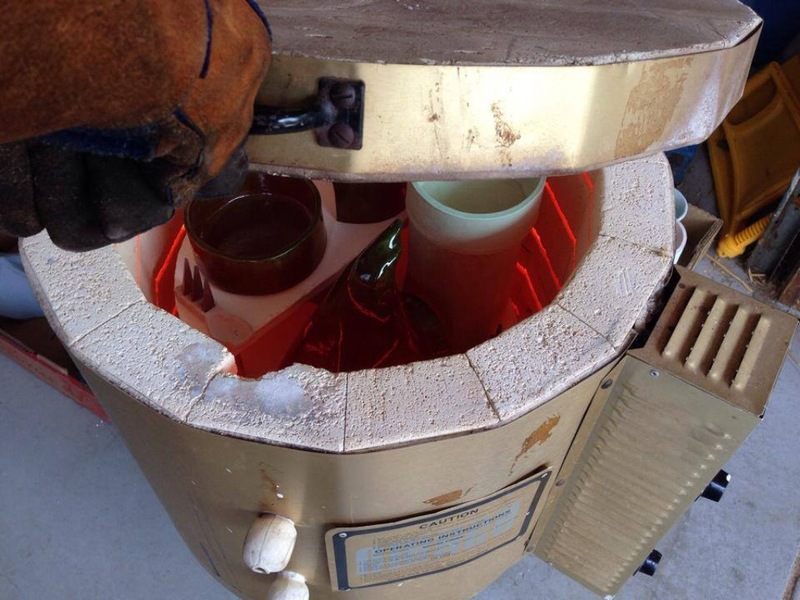 After a few hours, we peeked into the kiln to check if the glazes were starting to melt. Now this is were the science ends and the art begins for us. It’s hard to describe when exactly to pull pieces. Over time, you develop an understanding for each glaze and what visual clues you can rely on to determine when to pull the pieces. Once the pieces are pulled – we place them in metal cans with straw in them. We’ve tried other materials but straw is easy to get and ignites predictably. The straw bursts into flames shortly after contact with a very hot piece of pottery and we add a little more straw on top to encourage a full reduction. We seal the container with a lid (and sometimes a wet towel) and wait for the magic to happen. In the container – interesting things are happening. The fire consumes the oxygen, creating a reduction environment. This embellishes the metal oxides in the glazes, producing a variety of colours and lusters. Carbon is forced into the clay body, highlighting cracks in the glaze, due to the slight vacuum in the can as well. After the piece has sufficiently cooled enough to handle (about 45 mins) then we remove them from the can, wash them thoroughly to remove any soot, ash, and surface gunk to reveal the one of a kind glaze underneath!